Growing up north west of Denver horses are a normal part of life. At least for my little sister. Riding horses is her thang. 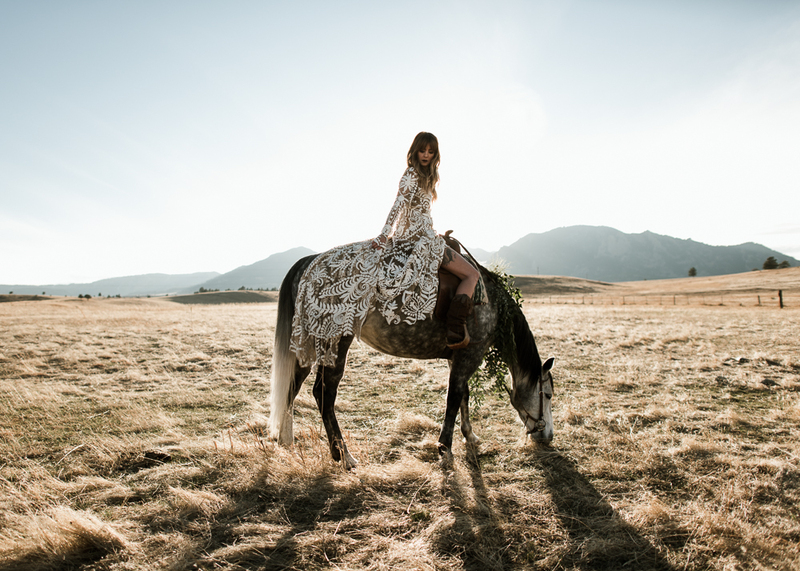 So I was excited to coordinate with her to bring some of her beloved horse into this dreamy styled shoot.